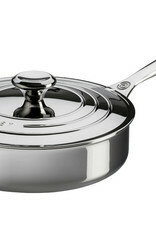 A generous cooking surface with tall sides makes the stainless steel saute pan perfect for pan-frying, braising and cooking down liquids. A greater depth provides extra capacity and minimizes splatters, while the lid adds convenience and versatility. 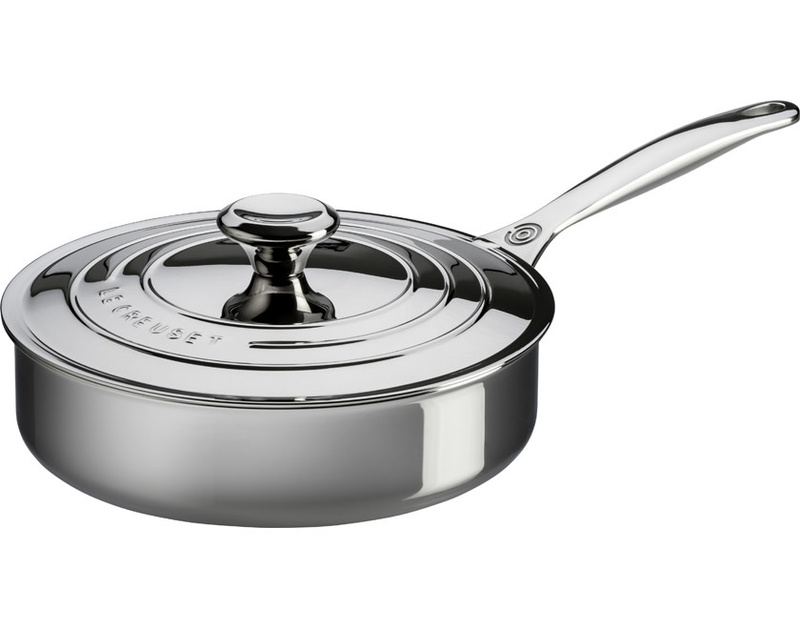 Le Creuset tri-ply stainless steel features a full aluminum core that extends up the sides of the pan and all the way to the rim for full, quick and even heat distribution. It’s bonded between two layers of professional-grade stainless steel for a pan that’s durable and resistant to discoloration over time.